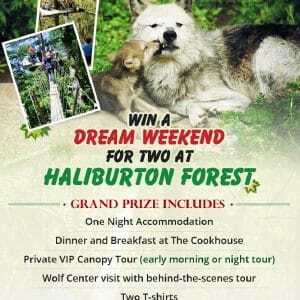 Haliburton Forest staff started the winter season snowmobiling and dog sledding. Announcement of winners of the summer Sweepstakes event. 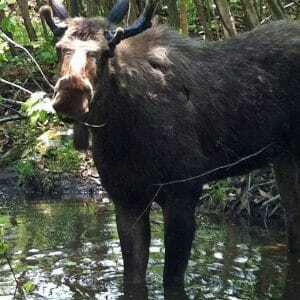 Hershe – Haliburton Forest’s resident moose is developing well! 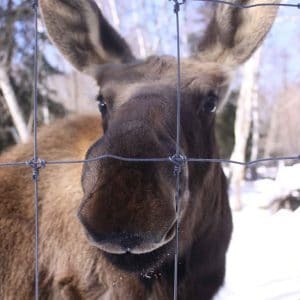 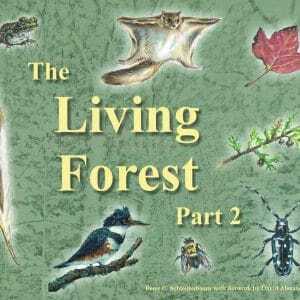 The story about Hershe the moose, who got adopted by Haliburton Forest and now lives in a beautiful 4 acre encloser.